Sensuous, dark and decadent, these stories are so gorgeously written, I want to wrap myself up inside them. 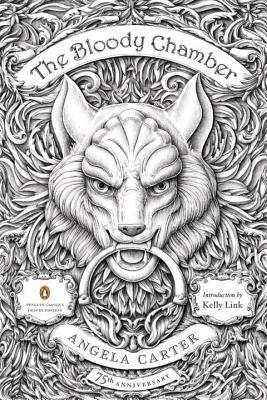 Carter reaches into the wellspring of European folklore and drags her characters, kicking and screaming, into the almost-but-not-quite modern world. Angela Carter (1940-1992) wrote nine novels and numerous short stories, as well as nonfiction, radio plays, and the screenplay for Neil Jordan's 1984 movie The Company of Wolves, based on her story of the same name. She won numerous literary awards, traveled and taught widely in the United States, and lived in London. Kelly Link is the author of the story collections Get in Trouble, Stranger Things Happen, and Magic for Beginners. She has won the Nebula and World Fantasy awards and has had stories published in The Best American Short Stories, the Magazine of Fantasy and Science Fiction, and Prize Stories: The O. Henry Awards. Born in Miami, Florida, she now lives in Northampton, Massachusetts.